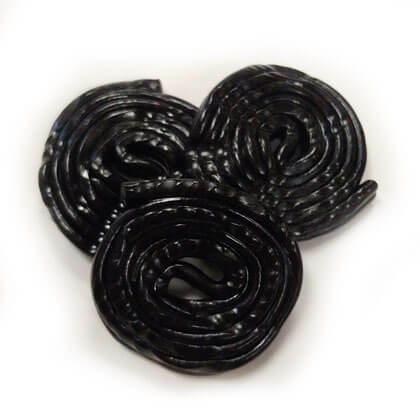 Delicious licorice wheels in black licorice flavor. Imported from Germany. Approx. 2 wheels per ounce. 10 oz bag.